Aug 16 (Reuters) – Aretha Franklin, the preacher's daughter whose powerful voice made her the long-reigning "Queen of Soul" with such hit songs as "Respect" and "Chain of Fools," died on Thursday at the age of 76, the Associated Press reported. 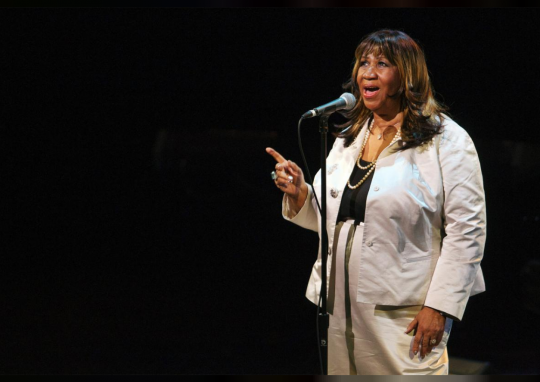 "Pop music today is rich with glorious gospel voices and women singers in the mold cast by Aretha," the late Wexler said in his autobiography. "… Aretha became a model for people like Chaka Khan, Natalie Cole, Donna Summer, Whitney Houston… The list of her disciples is long." Franklin started touring as part of her father's gospel show as a teenager and got a musical education from gospel greats of the time – the Staple Singers, the Soul Stirrers, James Cleveland and The Mighty Clouds of Joy.